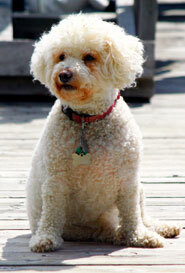 Both Toronto homeowners and animal-lovers agree that over the years, pets have played numerous roles in our lives. Whether it’s a friend, a shoulder to cry on, a helper, a family member, and even a psychiatrist. Any Toronto homeowner who has ever felt the warmth of a four legged friend, or the soft purring of a feline companion knows that pets bring unconditional love, loyalty, and nurturing into our lives. No matter if you are a dog-lover or cat-lover, the appreciation and love for your pets is the same. You want to care for your pet in the best possible way and provide them with food, clothing (for some), and shelter. Finding the right Toronto condo for you and your pet can be challenging. You don’t want to settle for an undesired property or part ways with your furry friend. Here at Freeman Realty, we love animals just as much as you do and we are committed to helping you and yours find the perfect pet-friendly Toronto condo. Search pet-friendly condos priced from $300,000 to $500,000, $500,000 to $800,000 and above $800,000. Interested in viewing a pet-friendly condo? Contact us today! If you would like to learn more about our own office pets and furry friends, read below. 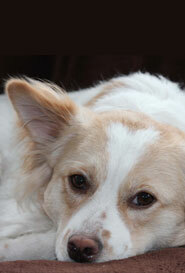 Shuli is our greatest success-story and one of our international pets. When rescued from the streets of Dimona Israel, Shuli's life was hanging by a thread. Her luck changed when our daughter brought her to Canada - since then she has developed into a healthy, affectionate, and happy pup. Shuli's days are spent at the office - playing with her adopted siblings and meeting new humans. Our 3 year old resident Beagle loves her second home at the office. Always full of exuberance, playfulness and curiosity, urging her fellow canines to play and sniffing out the tiniest of morsels of food. Babe is a smart and caring friend who is ready for a cuddle and will do anything for a treat. She loves hanging with her family and runs in the park. Ranger Big Boy lives up to his name in personality and size, but don’t worry he’s just as lovable as all of Freeman’s Furry Friends. 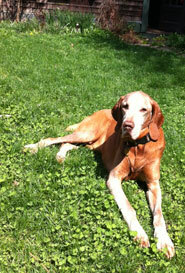 The friendly Viszla has come a long way from his Regal Hungarian hunting roots. He travelled overseas to Canada and has lived here since. Now in his retirement, Big Boy spends time watching over his girls and sometimes travelling home to Israel. We like to think of Levy as our best senior citizen; he puts in long hours at the office daily, and is a joy to be around. From his humble beginnings as a malnutritioned Yorkie living at a doggy farm, Levy has grown in size, and in the hearts of the Freeman team. Next time you’re in the office, stop by and say hello to Levy. Don’t let Oliver fool you, despite being spoiled with regular dental care and grooming, this purebred Bichon Frise is just as friendly as his brothers and sisters. Olly loves to keep us on our toes and we enjoy taking him for long walks, as it helps us stay active. Like his fellow tail-waggers, Olly can be found woofing away at the Freeman office. 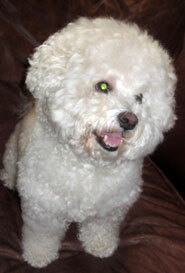 Yappa is a beautiful, award-winning Bichon Frise, and proud of it! Over the years she has continued to enchant those around her - with a soft-spot for her Mom, a well balanced personality, and maturity, Yappa has earned her office perks. 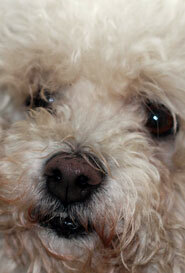 Some of her favourite pastimes include napping at the Freeman office near a heater, or snuggling up next to her mama. As a puppy, Dopey miraculously survived a car accident. 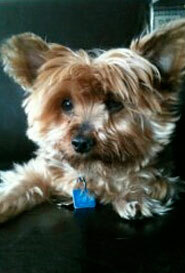 She owes her life to the great vets and surgeons at the Guelph Animal Hospital. Her name says it all, what Dopey lacks in intelligence, she makes up for with love. Dopey is a very affectionate pooch, she loves hugs, kisses, socializing with her friends, and spending time with her family at the Freeman office. The Youngest canine member of the Freeman Team is Bo Levi, our good natured, empathetic Australian Sheppard who cares about everyone he meets and can't wait to meet new friends. Our newest Canine friend is Ladybug, our happy go lucky Beagle friend who loves coming to the office and making her rounds, with a friendly wag of her tail and diminutive waddle, she loves everyone and everyone loves her.